Joint pain is a young man’s game and an old man’s pain. Anyone can suffer from it. Although joint pain can be a difficult condition to live with, its presence shouldn’t stop you from doing the things that you love. This includes traveling. So whether you’re going on a road trip to visit the kids or making your way across the Atlantic to Europe, here are some things you can do to help ease the pain, burden, and discomfort of traveling with joint pain. No one knows your body better than you do. By now, you probably know what your triggers are and what conditions bring about your joint pain. If you know your joint pain gets worse during the cold then be prepared to pack some gloves and/or a warm pair of socks. If you know that only heat or ice therapy helps ease your pain then bring along heat wraps or ice packs. If you’re on a plane, flight attendants will be more than happy to fill a bag with ice, and if you’re on a road trip then pick up some ice at a gas station. The bottom line is being prepared. Don’t leave things to chance, and don’t assume that you’ll always be able to buy what you need when you get to your destination. That’s almost never the case. Plans change, flights get delayed, and roads are unexpectedly closed. Traveling is inherently unpredictable so prepare in advance by anticipating your needs. If traveling by flight, book a seat with extra legroom or an aisle seat so it’s easier to stretch your legs. When booking your hotel room, try to get one near the elevator or on the first floor so you don’t have to trek miles to get to your suite. Find out if there is a fridge in your room. You might need it to hold your medications. These might seem like small details, but they can make a huge difference to your comfort level. In the long run, these details definitely matter. Bring your pain tools. If you usually use a walking stick, think about bringing along a folding cane or walker on your journey. If you suffer from back pain, pack a beaded seat cover or something as simple as an extra pillow for back support. And, traveling is often better when done with someone else! If you are traveling with a spouse, family member, or friend, go over your travel concerns with them. Consider educating them on the tools mentioned above and about your medications (if you use any). Whether you are 22 or 52, travel with a buddy if joint pain is a problem for you. If you take medications on a daily basis, keep them with you. All the time. Leaving your medication in the checked baggage is the worst place to keep them. If the airline misplaces your luggage (which happens), you’ll find yourself in a difficult situation. Depending on where you are, getting replacement medications may be extremely hard, time-consuming, or downright impossible. Always keep your medications with you at all times. NOTE: As with any medication you travel with, make sure all your medication is well labeled, in its original packaging, and has your full name on it. What medications are available for my condition? Are NSAIDs a safe option? Are there any supplements or nutritional options for joint pain? What precautions should I take before starting medication? Am I at risk for becoming addicted to any of the medication options? Although you might be traveling, try to resist the temptation of feasting on high-fat, high-calorie processed foods that are found in most airport and road stops. Instead, pick healthier restaurants to go to or if you’re really organized, carry your own healthy snacks and drink plenty of water. Additionally, go easy on the alcohol and caffeine which can both aggravate inflammation and cause dehydration. Antioxidants. These powerful nutrients reduce cartilage damage caused by free radical. They help reduce infections and unhealthy inflammation. Amino Acids. Arginine and taurine are both amino acids that help with joint problems. Arginine helps enhance circulation which helps provide essential nutrients and oxygen to your problem joints. Taurine helps reduce strain on the joints by supporting and enhancing muscle function. Omega-3s. Also known as fish oils, omega 3s help reduce joint pain, stiffness, and swelling. Omega 3s, such as DHA, help lubricate the joints and promote healthy, comfortable movement. Glucosamine & chondroitin. Both of these nutrients are building blocks for cartilage so they help support healthy cartilage maintenance. Tip 6- Keep moving and wear comfy shoes! You might be stuck on a plane, train, or automobile, but that’s no reason to stay still. If you’re on a road trip, make it a habit to stop every 2-3 hours to stretch your legs. If you’re flying, then walk up and down the aisle to increase the circulation in your legs. Apart from improving your circulation, these mini walks can help prevent blood clots. As an added tip, remember that just before a trip is not the time to buy brand-new shoes. Instead, choose a trusty pair of shoes with good support and traction. If you are traveling across the country or even to a different country, driving probably isn’t an option. However, if you can, consider driving. The total journey time might take longer but you will have more opportunities to stand up and stretch, walk around, and attend to your joints. A brace can be a great tool, especially if you suffer from knee pain. It can help you move more freely and comfortably. No matter what area of the body, a supportive brace can help relieve stress and strain on your joints. Furthermore, wearing a brace can help you feel more confident in physical activities such as walking while you travel. Whether traveling or not, you should keep moving. Depending on your abilities, having a regular exercise routine in place is always a good idea. Our joints are designed to move. Don’t overdo it but the better you move your joints, the better you will feel. If you institute a regular exercise routine, you will be ready for travel. It can’t hurt to visit your doctor or a physical therapist before you travel. The will probably give you similar tips to the ones above but be able to tailor them to your specific needs. Ask for any questions you have about your education and if you should take any precautions while on your trip. 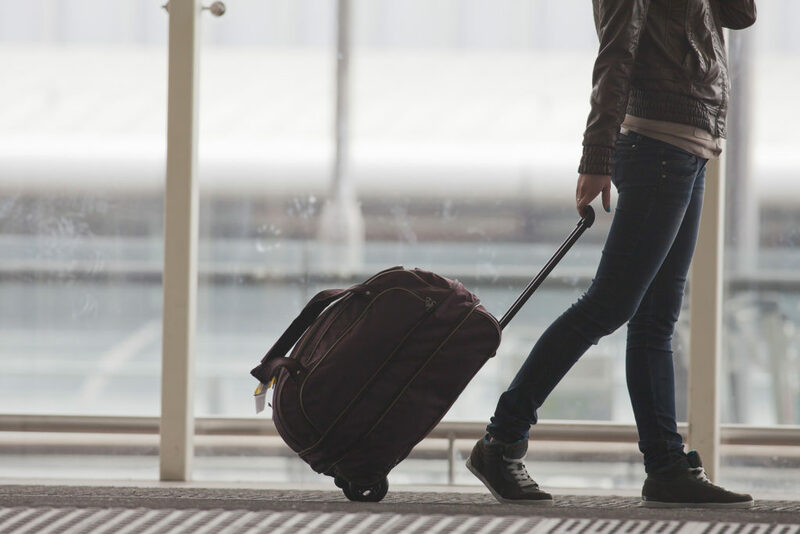 Traveling with joint pain doesn’t have to be a hassle. It just takes a little planning and foresight. Use some of the tips above to help manage your pain and keep your trip as enjoyable as possible. I think that you make a good point that if you use medication you should make sure to keep it on you so that it doesn’t get lost. Currently, I don’t have any medicine, but I do have quite a lot of joint pain that stops me from being able to do all the things I want to. My family will be going on a vacation soon, and I want to be able to enjoy it with my family. I’ll need to find somewhere to get a joint pain treatment that will help me. Thanks for sharing the useful information.It is really a great blog.Also you can know more about onjoint pain solution center in nagpur.